You say Lacie, I say Lacie……rocks! People often ask me what type of gear I use – whether in the field or at my desk. Today, with digital dominating the photo industry, I’m often asked how I back up or store the hundreds of thousands of photos I’ve acquired and store in my image collection. Besides backing up a number of images on gold archival DVDs, I currently have seven Lacie hard drives – a 2TB, 1.5TB, 1TB, two 500GB, 250GB desktop, and a 250GB mobile HD (to backup memory cards while on shoots). 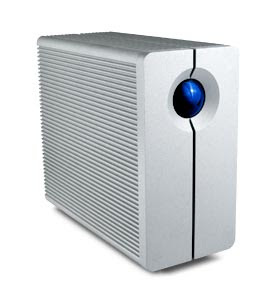 I love Lacie, they have been fast and reliable for me ever since I started buying external hard drives, they work on Mac or PC easily, and their customer service is good- that’s hard to say in the days of crappy customer service. So when Lacie came along and asked if I’d join there website as a pro who could recommend their drives, I said ‘you bet’. They provided me with a number of questions, and I’ve listed some of my answers below. Being a photographer doesn’t mean just taking good photographs- you need to be a well-organized, reliable, likable person who connects well with others- and one who can be uniquely creative in a moment’s notice. How did you your start as a commercial photography? I picked up a camera at 11, always knew I’ be a photographer. Received a “F” in photography in high school, but didn’t let it deter me. In 1988 I enrolled at Brooks Institute of Photography where I received my Bachelor of Arts in Commercial photography in 1991. That summer I sent out 150 resumés with no job offers, so I started my own business combining outdoor, on-location, & studio photography- 19 years later, I’ve traveled the world capturing images for hundreds of clients, published thousands of times in numerous countries. What have been some of your favorite events to photograph? I enjoy a mix of subjects, all challenging in unique ways – from adventure sports to environmental portraits, from culture to landscapes, from wildlife to studio still lifes. One of the most amazing experiences I had was traveling through Borneo photographing an adventure race and subsequently capturing images of the Penan and jungles of Sarawak. How has LaCie made your life as a photographer easier? I always know my digital images and business files are backed up on fast reliable drive, easily accessible. Plus, I can get to large files quickly on any computer I own, as well as set up new hard LaCie drives easily. Where have you been with your LaCie drives? I travel with my LaCie rugged 250GB hard drive everywhere my photo assignments take me – from Los Angeles to Chicago, Seattle to Las Vegas – anywhere I go on assignment today, my LaCie portable drives goes with me. If I have a one-day shoot with a budget of $15,000, I must back up my images. How do you see the world of digital storage developing and how will it make your job easier? If Hard Drives last longer with more storage space – that is having a longer life (more than 3-5 years), allowing you to store more images (as it has over the past 10 years going from 160MBs to 2TB as digital files get larger and larger) safely. How long have you been a user of LaCie products? I picked up my first LaCie HD, 200GB model a number of years ago from the Apple Store (after reading a number of reviews about the best hard drive). I’ve bought and own 7-8 since. 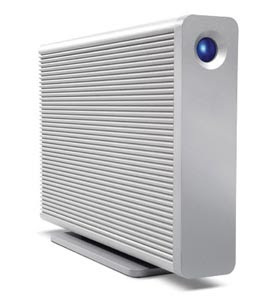 Hard to describe one- my LaCie drives help my workflow everyday, accessing files from Adobe Photoshop and Bridge, adding images to my Extensis Portfolio database to track and reference thousands of images, and open original files hundreds of megabytes large straight from the drives. Backing them up is also very easy and simple, whether using software or dragging and dropping folders into a backup disk. As the Photoguru, I want to recommend products I use and believe in – Lacie HDs are one of those products. 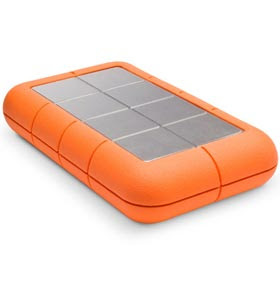 I’ll soon add an article to Photoguru.tv as well reviewing my Lacie rugged portable hard drive. Happy Summer folks- use sunblock & wear a hat.